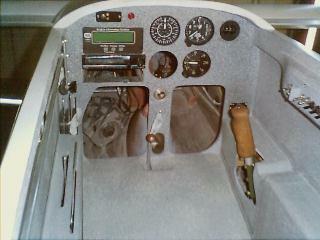 Simple instrument panel, as it should be in a Vari-Eze. 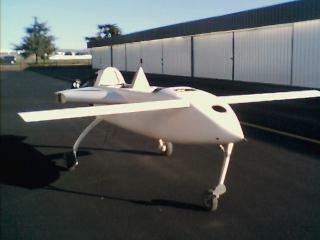 The device with the green screen is the Engine Information System. It monitors 15 parameters and warns when any value is outside of preset limits. The control stick is at the lower right. 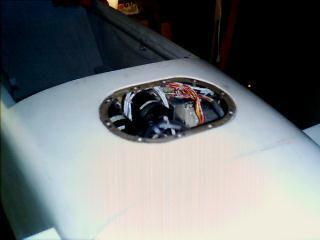 Access hole behind instrument panel. 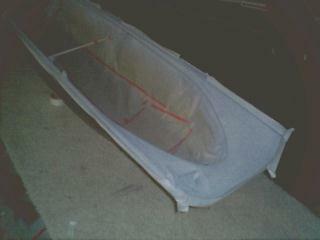 Repainting the canopy frame. 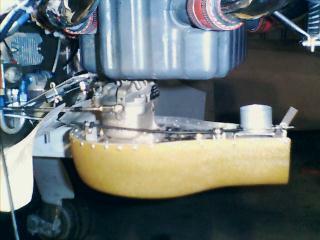 Bottom of engine showing carburetor and air filter box (tan thingy). Throttle, mixture, and carb heat cable controls come from the left side. The air scoop is visible just to the left of the air box. 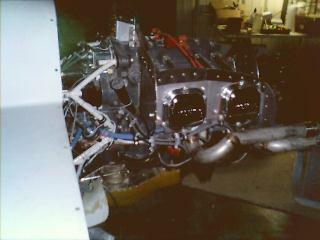 Side view of engine. 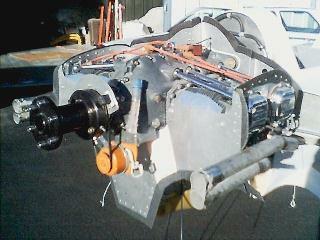 Orange cylinder is alternator, above it is the black prop extension. 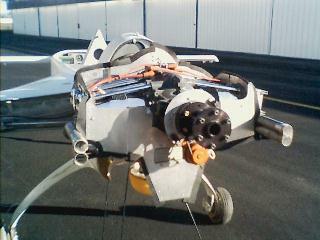 The prop extension allows the prop to spin 6" behind the cowling, away from turbulent air. 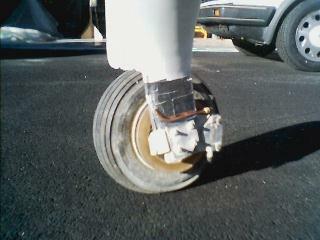 The sheet metal is baffling to direct the cooling air across the cylinders. 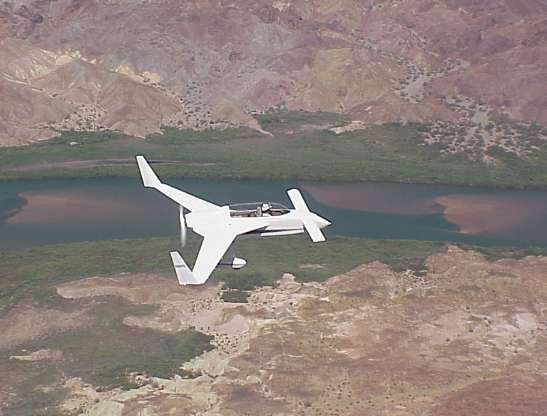 Missing wings, canopy, and engine cowling in this shot. Short length of copper brake tube connects to plastic NyloSeal tube, protecting it from heat at the brake caliper.